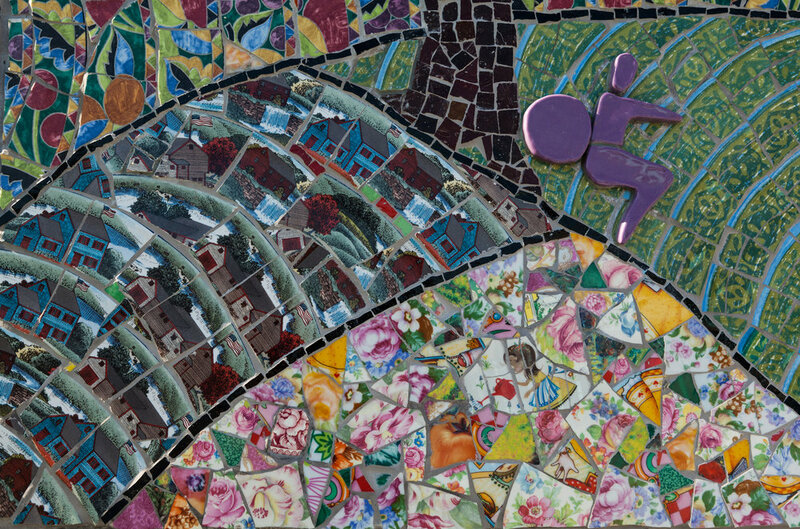 Using bright colors and enduring materials, these mosaic artworks combine natural but stylized forms with playful images of people exercising. Their design reflects the health clinic's efforts to promote healthy living and the movement to create community food gardens. Dimensions: 36" H x 34" W x 1" D 36" x 25" x 1"
Materials: Bas-relief mosaics including glass, reclaimed china, and hand-formed glazed ceramics.